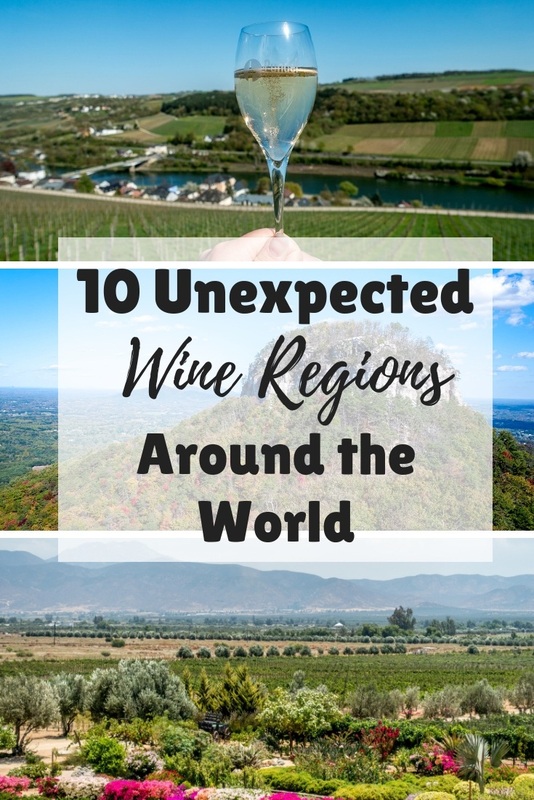 The world’s best wine regions are popular for lots of reasons. From the fabulous Rieslings of Alsace to the Pinotages of South Africa and the Chiantis of Tuscany, these places have world-class wines made in breathtaking settings. But there are so many wine regions to explore beyond the ones that are household names. In our travels, we’ve made a point to visit as many of these unique regions as possible. These 10 unexpected wine regions are worth putting on your list for your next trip. Located between two of the world’s largest wine producers—Germany and France—Luxembourg’s wine-making prowess is not well-known beyond the region. Even though it shares a border with Germany’s famous Mosel Valley, Luxembourg has historically been overlooked. Luxembourg has one of the smallest wine-growing regions in Europe, which is one reason it is off the radar for most people. A smaller area means smaller production and limited ability to export. 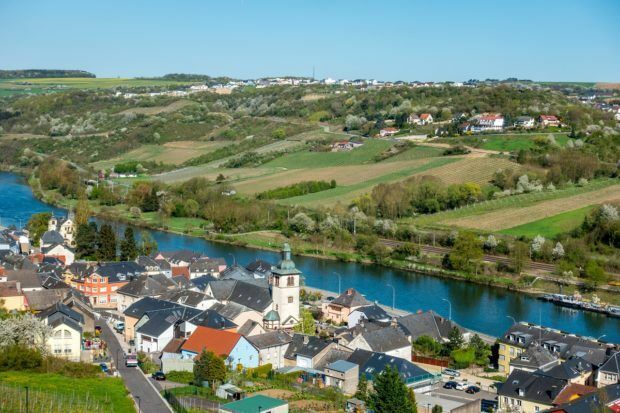 Fortunately, the limited size of the Moselle Valley (slightly different spelling on the Luxembourg side) has no bearing on the high quality of the wines produced there. Luxembourg’s 23-mile Wine Road follows the Moselle River along the country’s border. Along the way, it passes through small villages and slightly larger cities passed 3200 acres of fertile vineyards. Grapes seem to be everywhere. Known primarily for dry and sparkling white wines, Luxembourg produces some varietals that are likely more familiar to customers along with some that are more particular to the region. Its most popular products are Rieslings and a kind of sparkling wine called Cremant de Luxembourg, which is made in the same style as champagne. Table wines are made from grapes I learned about for the first time on my Luxembourg trip, including whites like the light Elbling and the fruitier Rivaner. 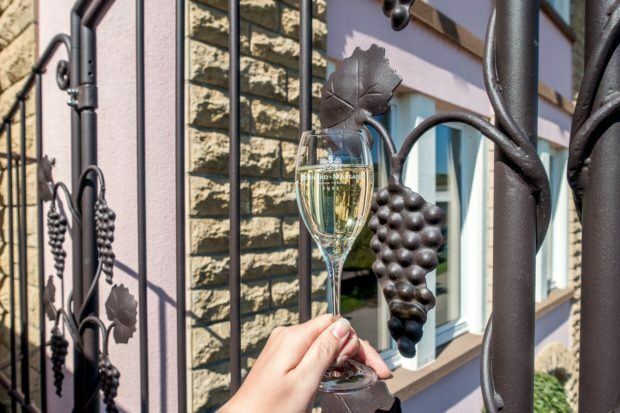 One of the best points about Luxembourg wine is that it tends to be quite affordable, with even the expensive-sounding Cremant going for about $9-12 per bottle. One of the best places to sample Cremant if you find yourself in Luxembourg is the terrace at Bernard-Massard overlooking the river about a half-hour from Luxembourg City. To try even more Luxembourg wines, Caves St Martin offers a walking tour of their wine caves in Remich. Morocco is a predominantly Muslim country where alcohol is somewhat scarce outside of hotels and higher-end restaurants. It’s not exactly a place that most people would anticipate makes wine, but it does. And the wine is good. Geographically, making wine in Morocco makes sense–it’s close to Spain, Portugal, and the Mediterranean. It has high mountains, hills, and cooling winds from the Atlantic. But, culturally, it is unexpected. 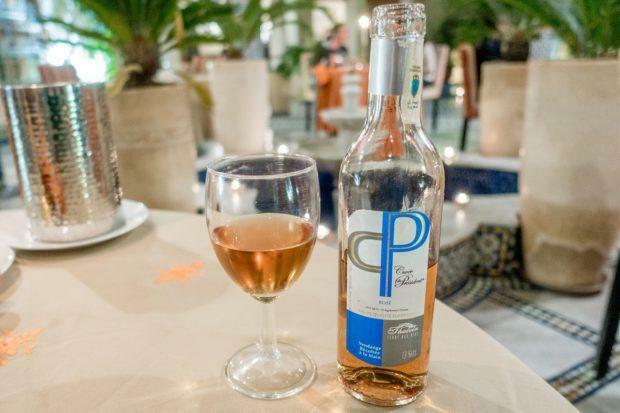 Morocco has five wine regions across the country and four wineries open to visitors. The wineries focus their production (about 75 percent) on red wines, followed by a smaller selection of roses and whites. We enjoyed the Cuvee du President brand and the Sauvignon from Les Celliers de Meknès. The first place that got us started exploring off-the-beaten path wine regions was Fredericksburg, Texas. In the heart of the Texas Hill Country west of Austin and north of San Antonio, the area is well-known across the state but less so nationally and internationally. Covering an amazing 14,000 square miles, the Texas Hill Country Viticultural Area has developed tremendously in the last decade. I’ve visited the wineries in Fredericksburg regularly for the last four years, and every time I visit, there are at least another half-dozen wineries opening. Some include restaurants and bed and breakfasts while most host live music and special events. The best Texas wines generally come from grapes that do well in Mediterranean climates. That means that visitors should expect varietals commonly seen in parts of France, Spain, and Italy. Wines that consistently rise to the top include Viognier and Albarino for whites and Sangiovese and Tempranillo for reds. There are many other single varietals, too, and plenty of well-balanced blends. With over 40 wineries in the area, it is hard to choose standouts. If your time in the area is limited, don’t miss Pedernales Cellars or Hilmy Cellars. Pedernales has a beautiful location just off the main road and a deck where you could relax and sip your favorites all day long. The family-run winery has lots to choose from but is known for their Tempranillo and Viognier. Hilmy has an interesting approach at their biodynamic winery where all kinds of animals roam freely and play a different role in the grape-growing and wine-making process. In particular, I enjoyed their Sangiovese. A somewhat rainy somewhat cool part of the UK may not seem like the natural place to grow wine, but it turns out that the climate of Wales is ideal for making certain kinds of wines. With good drainage, winds from the sea, and a hilly landscape, Wales grows Pinot Noir, Chardonnay, and 18 other types of grapes to produce award-winning wines. The Romans introduced wine-making in Wales over 2000 years ago, so the country has quite a history to draw on, but it has only recently developed a more significant wine industry. Wine production has increased 70 percent in the last decade, and 15 wineries across the country now welcome visitors. 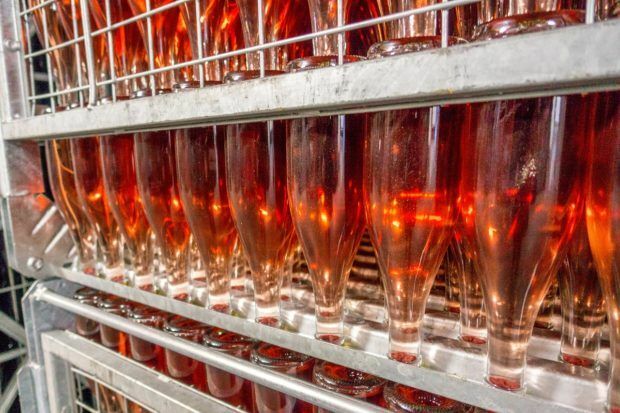 In case there is any doubt over the quality of wine in Wales, a Welsh wine was recently voted best sparkling wine in the world at a competition in Italy, which knows a thing or two about wine. Llanerch Vineyard, which we visited in southern Wales, also makes two great sparkling wines as well as other whites and a rose. In the foothills of the Blue Ridge Mountains, wineries in North Carolina’s Yadkin Valley have become sophisticated producers of wine over the last 15 years. This trail in the northwest part of the state runs through lots of small towns like Mount Airy (aka Mayberry) and Lexington and skirts around the metropolitan areas of Greensboro and Winston-Salem. Its picturesque settings include waterfalls and streams and hillsides dotted with seemingly endless vineyards. 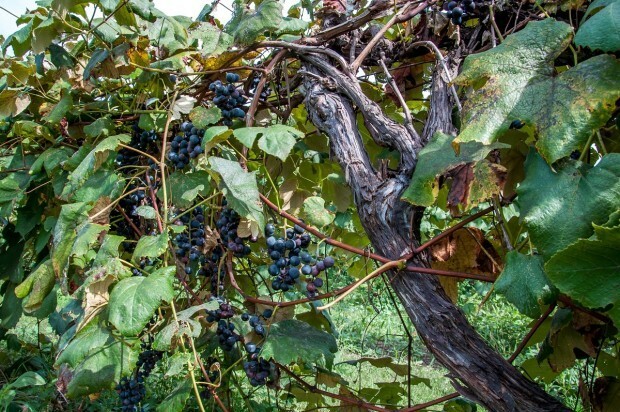 Wineries in the Yadkin Valley focus on two very different types of grapes—native Muscadine grapes and vitis vinifera, grapes that are native to Europe and produce the kinds of wines that most wine lovers are familiar with. Muscadine grapes have been grown in North Carolina since the late 1500s. The wines they produce tend to be very sweet (much more like grape juice). Part of this is the grape, and part is because sugar is added during the winemaking process. 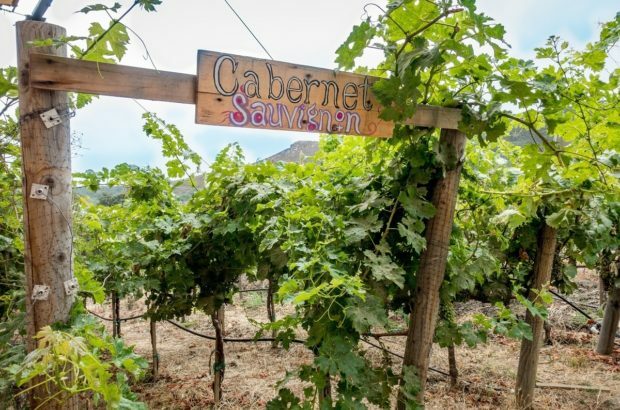 On the other end of the spectrum, vitis vinifera grapes like Cabernet Franc, Pinot Noir, and Chardonnay are turned into world-class wines at vineyards throughout the valley. All this means that North Carolina offers a little something for every wine drinker. There are about 40 wineries in the Yadkin Valley all producing fabulous products. I loved Shelton Vineyards in Dobson, which is entering its 20th year as a standout producer, and Childress Vineyards in Lexington. In addition to having fabulous wines, both properties have gorgeous, sprawling estates where you can sip a glass on the grounds or check out their on-site restaurants. If you don’t have time to get to a vineyard, visit Carolina’s Vineyard & Hops in Winston-Salem, a tasting room with a huge variety of wines from across the state. Like Luxembourg, Andorra is also sandwiched between two huge wine-producing countries–France and Spain, in this case. Andorra’s location in the Pyrenees Mountains means that the vineyards are dramatic, with grapevines sloping at what seems like near-vertical angles all around. A tiny principality, Andorra has been developing its wine industry for just over 10 years. With schist in the soil, warm winds from Spain, and cool winds from the Pyrenees, somehow it all just works. There are only four wineries in the 180-square-mile country, but we had the chance to visit one, Casa Auvinya. The first producer of red wine in Andorra, Cara Auvinya does everything by hand. After all, there’s really no way to have machines on the mountainside, even if they wanted to. Casa Auvinya is known for its Pinot Noir and Syrah, which are combined in different blends, as well as Viognier and Albarino. One of the smallest producers we’ve seen, they are big on heart and ambition. When we arrived in Crete, we had no intention of visiting wineries because we didn’t know there were any. If not for a small sign in the small town where we stayed that pointed the way to a nearby vineyard, we would not have discovered the joys of wine in Crete or learned that the island accounts for about 20 percent of all wine in Greece. Except for the times when the land becomes beach, it feels like all of Crete is bright green rolling hills and mountains. Among those miles of magnificent landscape are swaths of perfectly-manicured grapevines swooping down the slopes. In all, there are roughly 30 wineries spread across this 160-mile-long island. Wine making in Crete has been around since the days of the Minoans. Beginning around 2600 BC, wine was a daily part of life here. Until about 30 years ago, much of the wine made in Crete was made in people’s home and mainly intended for private consumption. And while homemade wine can still be found, the industry is now more commercial, though it has a distinctly family-run feel much of the time. There is a wide variety of grapes grown in Crete. Most wine drinkers will be familiar with the European varietals such as Cabernet Sauvignon, Merlot, and Sauvignon Blanc. From there, it branches out into local varietals. The reds we found most often were Kotsifali, a mellow grape with plum notes that’s similar to Merlot, and Liatiko, a sweeter red. The most popular white was Vidiano, Crete’s flagship wine that’s a bit like Viognier. 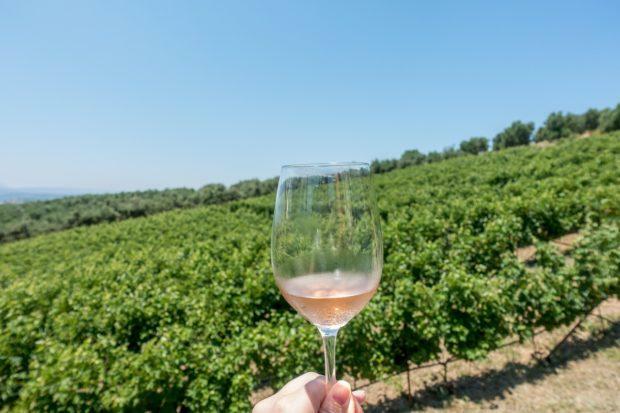 The good news is that most wine in Crete—at both wineries and restaurants—is inexpensive, so you can sample a lot and find your favorite without spending much. 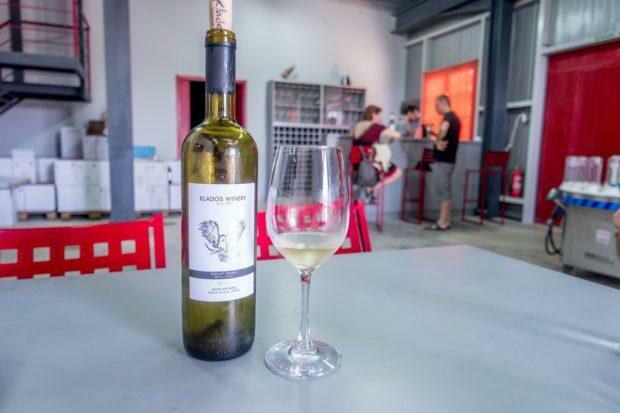 Our favorite wineries for trying out the specialties of Crete were Klados Winery near Panormo and Stilianou Winery in Kounavi, both of which are family-run. Lake Erie Wine Country—a location that often gets 8 feet of snow in the winter—is likely not a place that comes to mind when you think about wine. Surprisingly enough, the cooler weather and soil composition make this area along the Pennsylvania-New York border a ideal place for sweet wine. And they make dry varietals, too. The south shore of Lake Erie is a massive grape-growing region, with over 40,000 acres of grapevines. 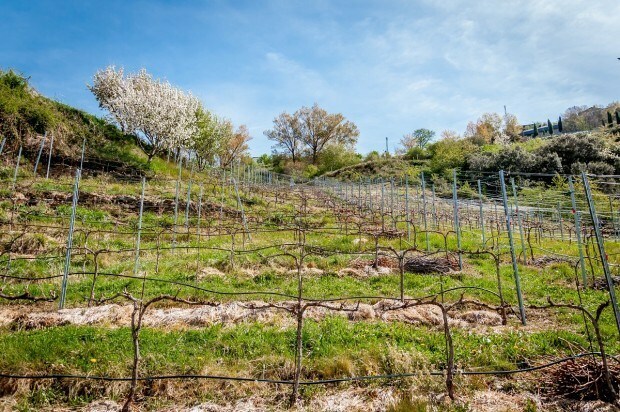 Most are of the variety you might want to eat or make actual grape juice from, but the addition of European varieties in recent decades has given local winemakers more options. 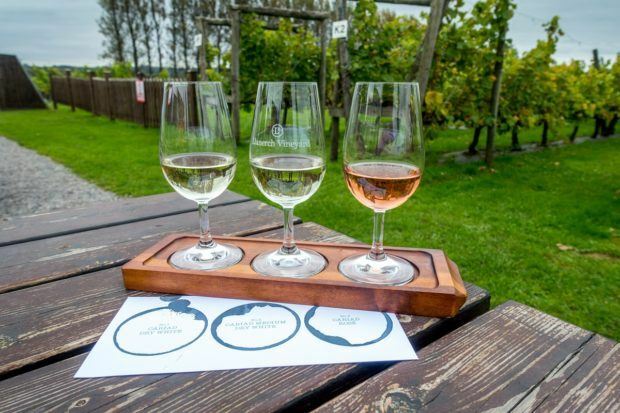 An area that once focused almost entirely on sweet wines, Lake Erie Wine Country now includes varieties like Chardonnay, Merlot, and even an Eastern European red grape called Blaufrankisch, among many others. Sweet and drier wines from all these grapes can be sampled at the over 20 wineries in Lake Erie Wine Country. Regardless of whether you’re searching for fruit wine, ice wine, or a Grunver Veltliner or Cabernet Franc, you’re likely to find something to your taste here. Two of our favorite wineries to visit were Courtyard Winery in North East, Pennsylvania, and Johnson Estate Winery in Westfield, New York. At Courtyard, our pick was a mild red blend and a wonderful Chardonnay, although they have lots of sweet options, too. 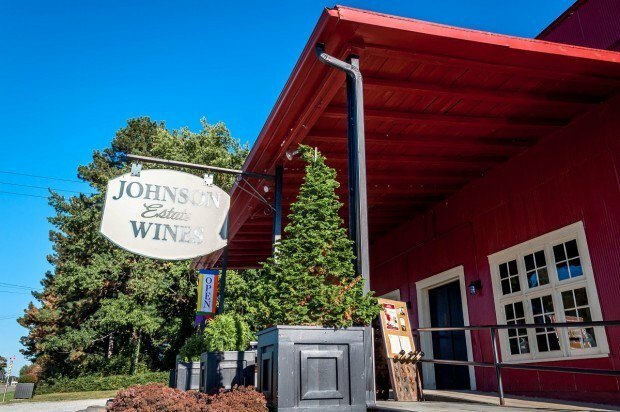 At Johnson Estate, we loved all the European varietals we tried, including their Port-style wine. Macedonia is well off the predictable tourist map for just about everyone, but there’s a lot to love about this part of former Yugoslavia. It has mountains, picturesque lakes, brilliant medieval monasteries, and a thriving wine culture. We focused our time in the Tikves Valley, Macedonia’s wine belt. 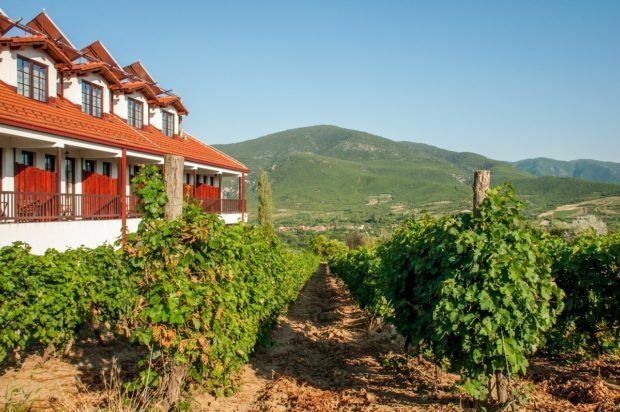 At a similar latitude to Bordeaux, Tuscany, and the Napa Valley (and quite close to northern Greece), the Tikves area includes about 2000 fertile square miles. Thanks to lots of sun, rocky soil, and winds from the Mediterranean, wine has played a role in Macedonia for over 6000 years. Our introduction to Macedonian wine was through Popova Kula, the premier winery in the Tikves Valley. They produce a handful of drier white wines like Chardonnay and Sauvignon Blanc along with a growing number of richer reds. You’ll find Cabernet and Pinot Noir, but Popova Kula is particularly known for local varietals like Vranec and Stanushina. 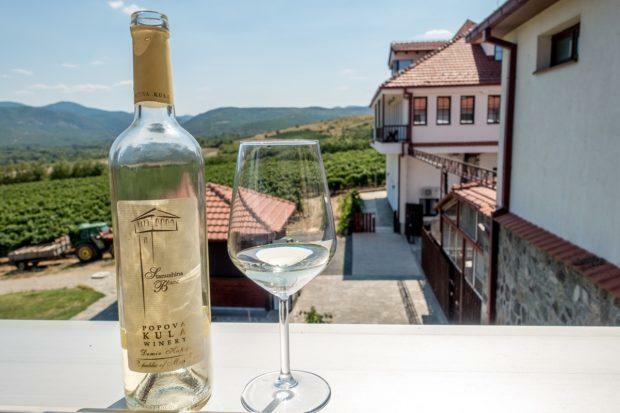 The wines are great, and the on-site restaurant and hotel make Popova Kula an even more appealing stop-over for travelers heading from Greece to Lake Ohrid or Skopje. The lush setting and lack of crowds make you feel like you’ve discovered something truly special. Still largely unknown to many people north of the border, the wine game of Valley de Guadalupe, Mexico, is strong. About two hours south of San Diego, this region of Baja, California, is home to nearly 100 wineries. At an elevation of 1000 feet, the landscape of Valle de Guadalupe varies from plains to rolling hills to dramatic cliff-side views as you approach the coast. Despite the area’s hot summers, there seems to be green vines and flowers everywhere. Morning fogs and sea breezes bring just enough cool air and humidity to make this a perfect place for growing grapes and making wine. Red wine is big in Valle de Guadalupe. Petite Sirah, Malbec, Tempranillo, and Cabernet Sauvignon seem to be present on most menus. Considering the warm weather, a less-formal sangria is also quite popular. You’ll occasionally see white wines like Chardonnay and Sauvignon Blanc, but in lesser quantities than the reds. The wineries along the Ruta del Vino have all sprung up within the last 30 years, with wine tourism in Valle de Guadalupe starting to become more popular in the last decade. Once people visit, they undoubtedly become fans and return again and again. We visited a lot of great wineries in our weekend in Valle de Guadalupe. For views, Cuatro Cuatros is tops. 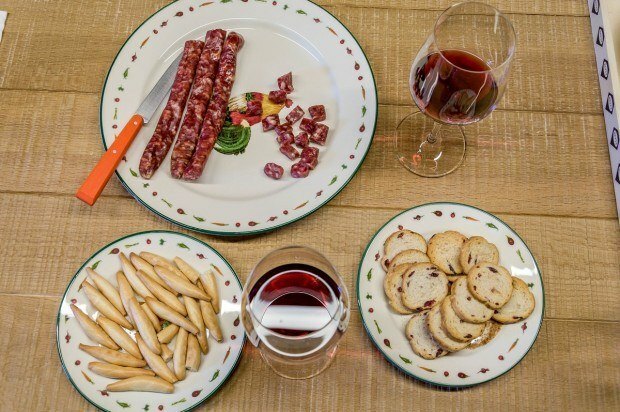 For a lovely tasting experience among the vines, don’t miss Vinicola Relieve. We also loved Finca la Carrodilla winery at the far western edge of the valley. The wines and the views were fabulous. Plus, they have a café and beautiful garden.